This course is designed to introduce the basic groundwork that will lay the invaluable foundation for advancing agility classes. You will introduce your dog to flatwork, 2 on 2 off touches, weave entries, games that build drive and a reliable stay at the start line. Shaping exercises will be utilized to create a more operant dog. Most obstacles will be introduced in this class. Level 1 obstacles include: table, wobble board, flat board, lowered dog walk, jump, tunnel, 2 X 2 weave poles, lowered Aframe, teeter. 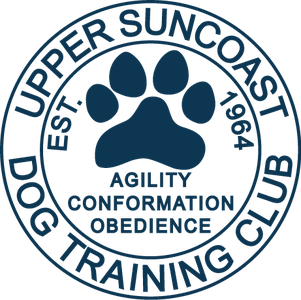 Requirements: Dog must be at least 10 months of age, have completed Basic Obedience or the equivalent to be evaluated by instructor. If there is any homework assigned in your class, you can find it here by clicking on the dog. You will need a passcode provided by your instructor to enter this area.